Jill Konrath is a sales strategist, speaker and bestselling author. She is a frequent speaker at sales conferences and kick-off meetings. Sharing her fresh sales strategies, she helps salespeople to speed up new customer acquisition and win bigger contracts. Her clients include IBM, GE, Microsoft, Wells Fargo, Staples and numerous mid-market firms. 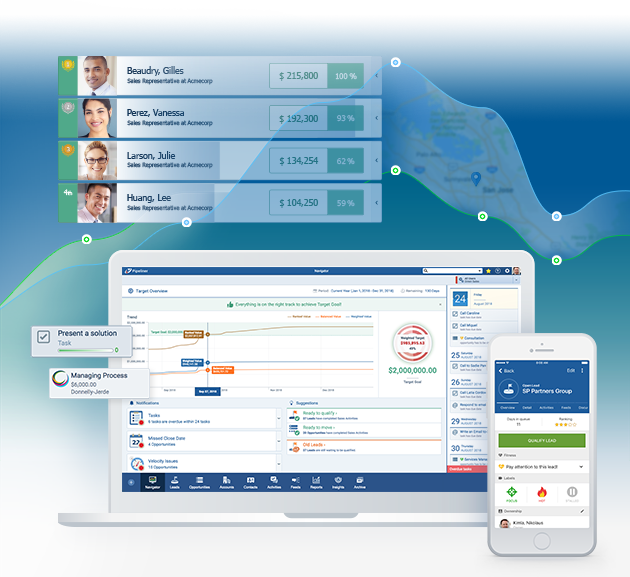 Pipeliner CRM: Enabling Sales Teams, Minimizing Risk! The Internet has proved a blessing in some ways, and a curse in others. On the plus side, buyers can accumulate a lot of independently researched data on a product or service before ever having to make a buying decision. On the minus side, however, there is an overwhelming amount of data out there. Add to that the fact that business today proceeds at a lightning pace, and buyers are under constant pressure to provide solutions to their companies. They barely have time for their morning coffee, let alone for lengthy chats with salespeople. Enter SNAP Selling, a selling methodology developed by Jill Konrath—author, sales strategist and speaker (whose clients include IBM, GE, and Hilton). SNAP Selling is detailed in Konrath’s 2012 bestselling book SNAP Selling: Speed Up Sales and Win More Business with Today’s Frazzled Customers. Keep It Simple: When dealing with an incredibly busy person who can only spare a small percentage of attention, complexities will just fall flat. Sales need to make it incredibly easy for prospects to change their current habits and adopt what you’re selling. Be iNvaluable: Today a salesperson must rapidly become a trusted expert for the prospect, showcase value and stand out from the crowd. Always Align: Selling today includes aligning business objections with core beliefs. It’s about making people want to work with you. Raise Priorities: A buyer—and their company—is always going to have priorities. Any seller that’s going to succeed needs to understand and tap right into those priorities. Utilizing SNAP Selling principles, salespeople are better armed to deal with busy prospects and provide valuable knowledge, connect their product or service with issues vital to the buyer, and provide a smooth, easy purchasing runway. Pipeliner CRM is designed very much along the same sorts of principles as SNAP Selling. A prospect has very little time and not a great deal of bandwidth to receive your information—hence a CRM solution needs to fully empower a salesperson to be able to deal with a prospect rapidly, accurately and powerfully. The three critical decisions outlined in SNAP selling—allowing access, the choice to move away from the status quo, and changing resources—will parallel the stages of a company’s sales process. Your CRM solution should exactly mirror your sales process so that these decisions are dealt with in the same stages, every time. Your sales process stages should be mapped out as precisely as possible, with the SNAP Selling methods that should be utilized in each stage, along with buyer and seller actions laid out that will result in the sale moving to the next stage. With its completely visual, intuitive functionality, Pipeliner CRM meets and exceeds these qualifications and more. Find out how Pipeliner CRM can totally empower your SNAP Selling efforts. Try our free trial.